Featured Again - Why Facebook Loves League of Angels II! 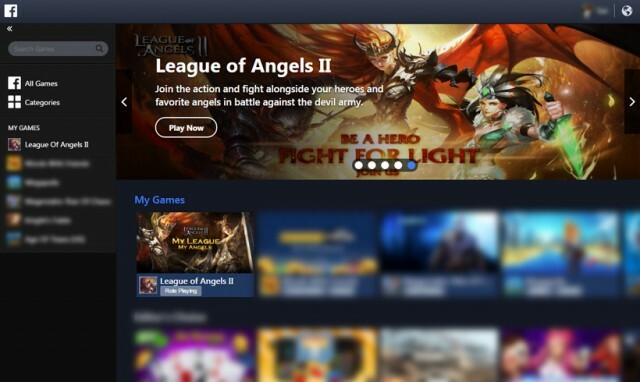 League of Angels II, the free to play fantasy MMORPG from developer GTArcade, began its journey this April and quickly become a worldwide sensation. After receiving Facebook’s “Big Game Feature” in May and then in June, LoA2 has once again earned the great honor in October! As a testament of its quality and popularity around the world, League of Angels II is the first game to be featured 3 times by Facebook within just 6 months! As one of the biggest game platforms in the world, Facebook provides game services to over 550 million players each month. During League of Angels II’s last two Feature Weeks, Facebook Games promoted LoA2’s official cinematic trailer, and placed LoA2 banners at the top of the Hot Games page. During this Feature Week from Oct. 21st to Oct. 27th, LoA2’s official banners are being prominently displayed on Gameroom, Facebook’s PC game client. Ever since the first League of Angels won Facebook’s 2014 “Best New Game ” award, GTArcade’s original franchise has been a favorite for the social network giant. Following its the success of its predecessors, League of Angels II raises the bar with an advance new game engine and innovative gameplay. The browser game features high-end graphics, fluid animations and beautiful effects that are on a par with console games, with a robust RPG and combat system that provides endless strategic choices. League of Angels II has continued make huge strides forward since its launch. A month after the launch, LoA2 expanded from North America to every corner of the world. Two months after launch, the multi-language version was released with full language support for English, German, French, Spanish, Portuguese, and Chinese. Every week, GTArcade has updated the game with new content to keep gameplay fresh and exciting for players. League of Angels II would not have earned Facebook’s Big Game Feature 3 times without the amazing support of its players. 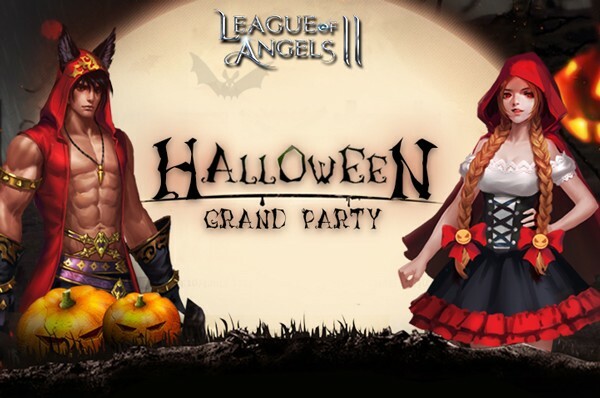 As Halloween rolls around, the Angels cordially invite all players to participate in LoA2’s Grand Halloween Party from Oct. 28th to Nov. 1st. Players new and old will find a host of rewarding events to enjoy during this time. Various Halloween-themed items, like the Magic Broom mount, Cat Familiar pet, and Red Hood fashion suit will be available to get players into the Halloween mood! New players that register during this Feature Week will be able to collect special “Featured Packs” that contain all kinds of important resources to help kick-start their adventure! Come experience the game that has earned Facebook’s Big Game Feature 3 times within 6 months! Celebrate Halloween and Featured Week in League of Angels II and enjoy all the great events and rewards. Play this epic free to play MMORPG now and see how the “Angels have Transcended”!